The Aeolipile was a simple mechanical device that generated kinetic energy from steam. Its invention is attributed to the Hero of Alexandria in the 1st century AD. With the benefit of hindsight, the leap from that machine to using kinetic energy to generate motion or operate machinery seems logical, yet as far as I can tell it wasn't made until the 17th century when steam power would first be used to do meaningful work. What technological (and if present, cultural) factors prevented further growth in the use of steam power in 1st century Roman Egypt, or any other region during classical antiquity? Edit: the original question title was about Greece, which is what I've tried to answer below. Because it wasn't Steam Engine Time. It didn't coincide with an obvious need for locomotion, and the capability to implement it on a wide scale. For example, there was little steel and not much coal. There were lots of slaves to do the heavy lifting... I think Plato even speculated that slavery couldn't be eliminated until people had automatons (robots/machines) to do the work for them, which we do. Preindustrial England had plentiful cheap labour, but no slaves, and at some point in every line of work developing automata became cheaper than paying out more wages. Trade was mostly conducted by sailing ships, which was as fast as the earliest steam engines. Consider that in England, steam railways displaced canals. There was a need to move things overland, and that was the need that canals fulfilled. There was no equivalent 'pre railway' in ancient Greece, because their economy didn't demand it. So there was nothing that needed to be replaced. From the standpoint of the ancient Greeks, the aeolipile is a technological dead end. As an engine in its own right, it's useless for more than toys/temple wonders: it produces negligible torque, and does so in a horribly inefficient manner -- the slave you've got stoking the fire to run your aeolipile-powered device would be far more productive if he let the fire go out and did the task himself. As a predecessor to other steam technologies, it's also a dead end. There's no obvious transition from it to the steam piston, which the Greeks might have been able to build. If you turn the aeolipile inside-out, you get the steam turbine, but making turbines efficient enough to be worth using requires a knowledge of metallurgy, precision machining, and aerodynamics far beyond what the ancient Greeks had. This question seems to imply that the invention of steam power (in any form) is an automatic precursor to an industrial revolution. I don't believe that this is the case. The Industrial Revolution in Europe (and more specifically in Britain) was the result of a number of a number of technological and economic factors that came together in that place and at that time. Steam power was, in itself, not a cause of the Industrial Revolution. The Industrial Revolution actually got started with water power (in the form of water wheels). Steam power simply provided a more flexible form of power and, as the technology progressed, a portable form of power. In fact, the Industrial revolution and steam power technology were essentially complementary. Improvements in mechanical technology and tooling allowed better, more efficient steam engines which in turn powered larger and more powerful tools (in increasing numbers), etc. I think this is analogous to why guns did not immediately displace bow and arrow. The early gun was not a superior practical weapon in many respects for centuries. In fact, steam engines would not be as useful as sails or horses until late 18th or early 19th centuries. If someone in ancient times had tried to replace muscle or wind power with steam he would have faced technical problems in metallurgy that would not be solved for a long time even if the understanding of how more efficient use of steam had been achieved then which it would not be for centuries also. As answer by Mark says, it is useless. Because it is not the same as the 17th century steam engine, which can exert much greater force. At the time Greeks already had water-powered machines, and maybe wind-powered as well. Such machines do not need fire and fuel. You do not have to go to forest to cut logs. And they were much more powerful. So this kind of engine is simply useless for them. the difficulty in emiserating labourers without machine discipline, for example, frame knitters failed to intensify production until undercut by teenage girls enslaved to Jennies. That the relations of production were fettering the expanded reproduction of capital. (Thomspon, Making of the English Working class; Hammond & Hammond, Town Labourer; Marx Capital 1 33 circa, “Mr. Peel”). The accumulation of social property in the Greek cities was not driven by capital accumulation, wage labour, the value form, a generalised market in commodities including wage labour. Problems could be solved by extensification within existing techniques of mining or invading a new neighbour; problems could be solved by intensification of patronage of the non-equestrians or harshening latifundia production. Within all the other limits posed regarding access to the material techniques of steam pistons as motive force, there were no drivers in the forces or relations of production for non-organic motive force. It wasn’t needing steam engine time yet. I believe there were some niche uses. Moving curtains, opening temple doors. 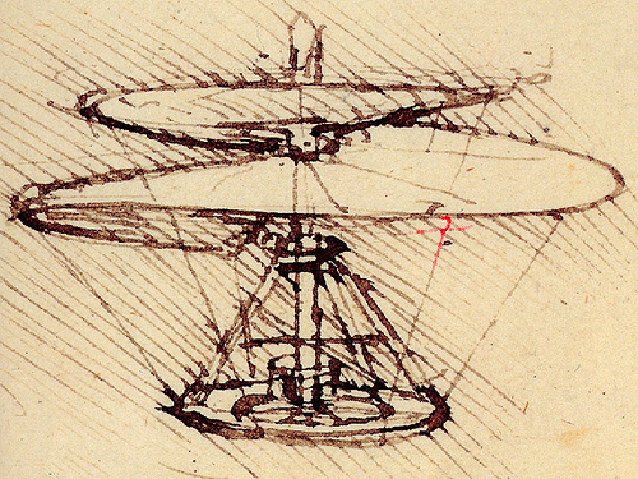 Last use I know of, and you may not agree with me, was in Leonardo da Vinci's plans, whose aerial screw was to be powered by aeloplie. I could be wrong on this, however the drawings are made by the best artist yet, author of Mona Lisa and the man who was hired by both French king and Roman Pope to do some drawings. Since the aeliopile is closely related to rocket engines and these are more efficient in comparisson to, say, a gas engine, the question really should have been "Is the time ready for Heron's engine yet?" Not the answer you're looking for? Browse other questions tagged ancient-rome technology industrial-revolution or ask your own question. What technological/economic factors triggered the Industrial Revolution? Was the ancient Roman King ( i.e. rex) elected for eight years? Why was ancient Christianity more successful than the Roman pantheon and Judaism in gaining followers? Why was the water in roman fountains cold? What name was given to this ancient Roman custom involving a broken pot to show a pact between individuals? Why does English use Roman months, but Germanic days of the week? Were slaves allowed to use the Roman baths? Why did the ancient Romans use groups of eight? Why Marcus Aurelius did not restore the Roman Republic?